Ready for Block 14? I hope you’re staying caught up, because we’re just about ready to set these together! 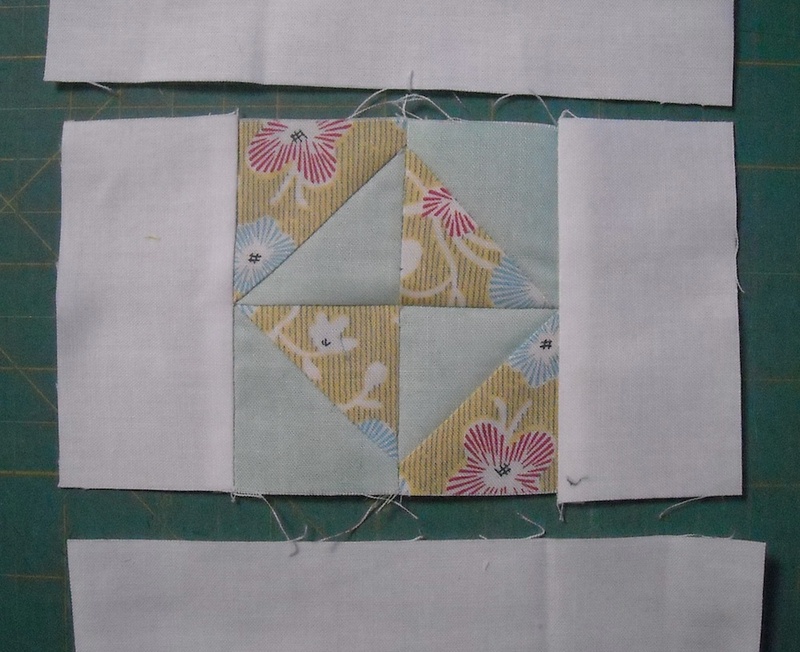 This block has a lot of units, so there’s more sewing on this one, but still it’s not difficult. Lay everything out as shown. It sorta looks like a mess, but it’ll all come together. Pay special attention to the orientation of the outer triangles. 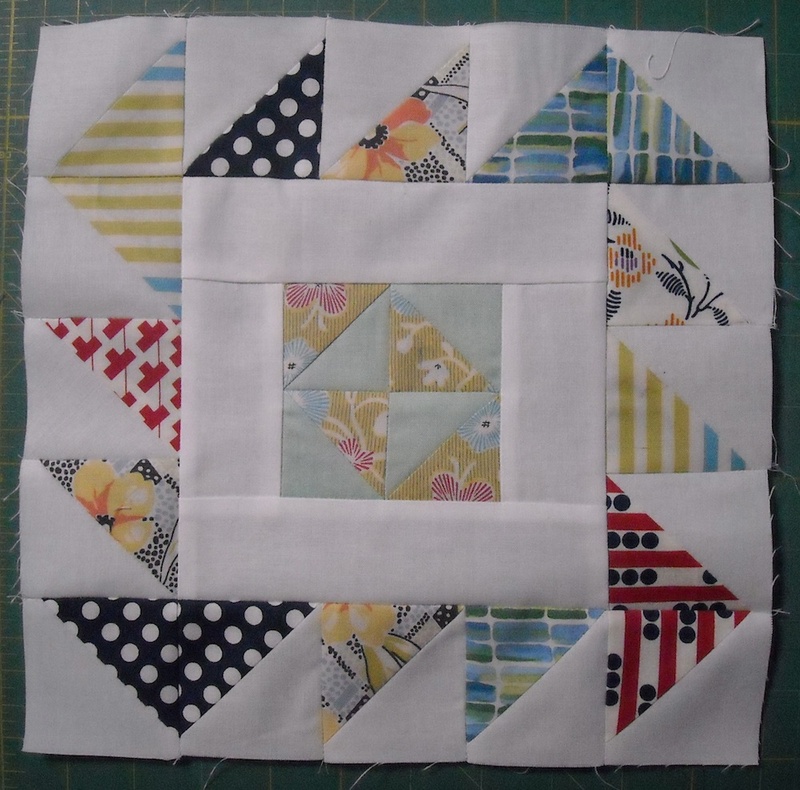 We’ll start the piecing from the center. 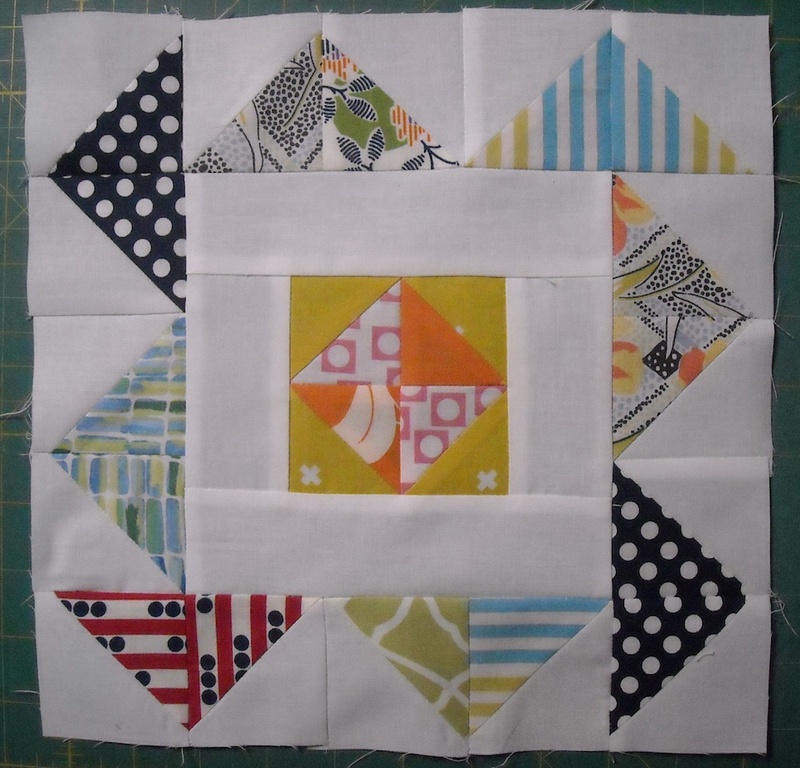 Join the center units together into pairs, pressing seams in opposite directions. 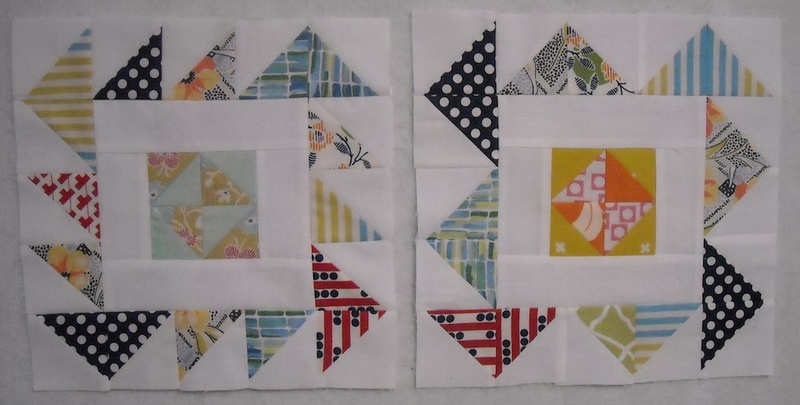 Sew the pairs together to create the middle unit. Press the seam to either side. 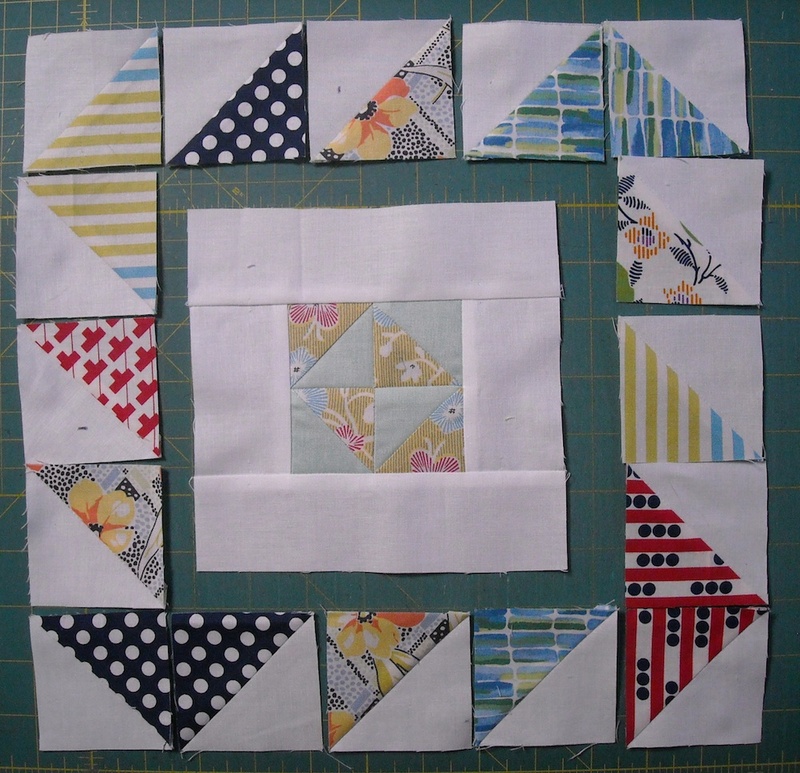 Now sew the 3 1/2″ rectangles to the sides of this center unit, pressing seams toward the background. 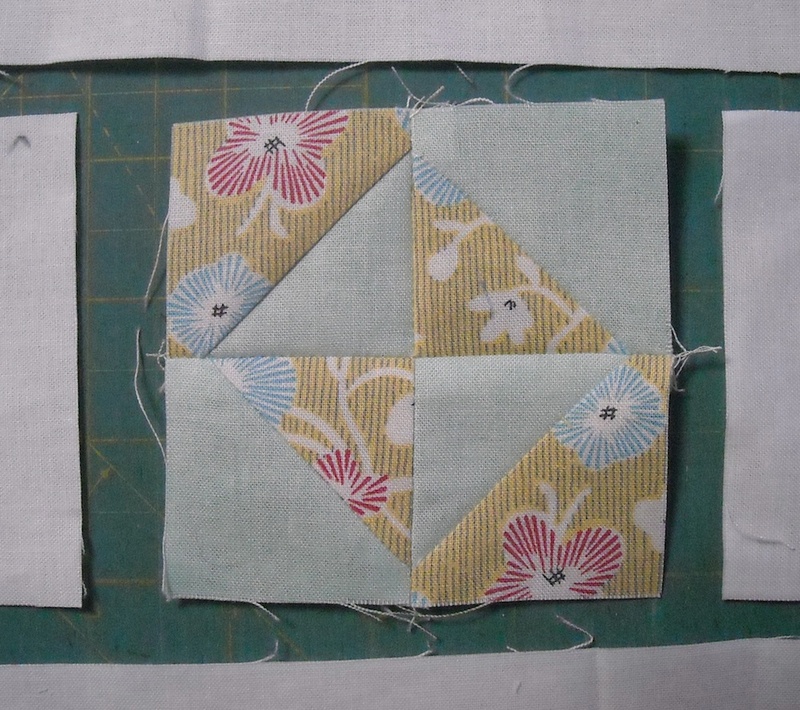 Sew the 6 1/2″ rectangles to the top and bottom, again pressing seams toward the background. 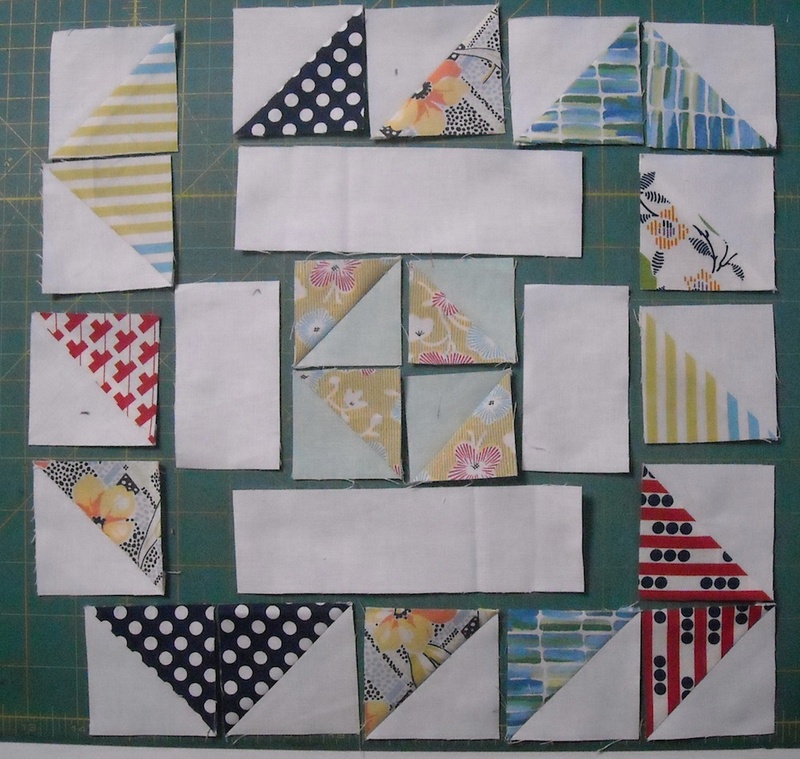 Make sure you have all the outer triangles arranged just right, and sew the three units on each side together into strips, pressing seams toward the darker fabric. 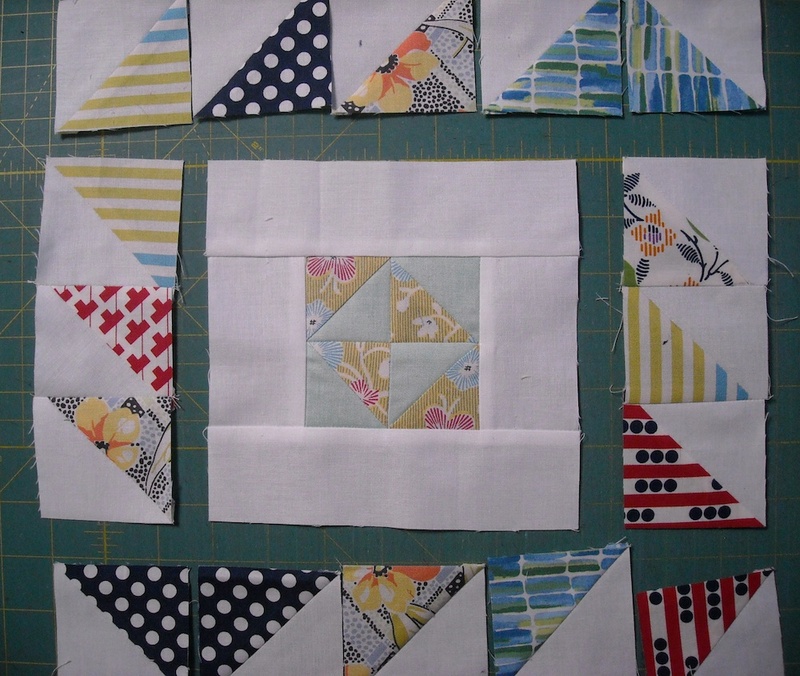 Sew these strips to the sides of the center section, pressing seams toward the background fabric. 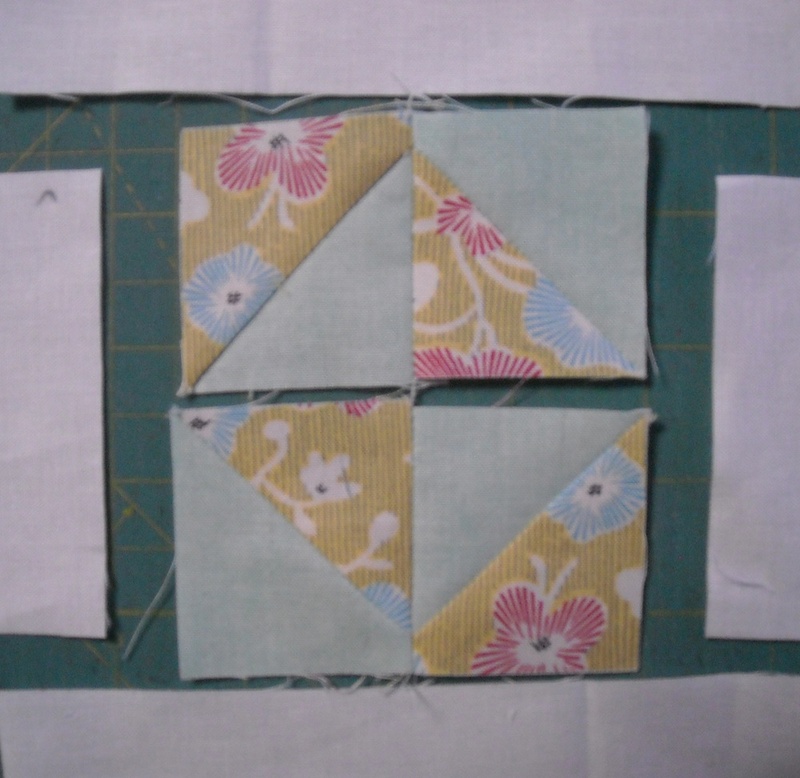 Sew the units in the top and bottom rows together. Press the seams on the end units toward the outside, and press the ones in the middle of the rows either direction. 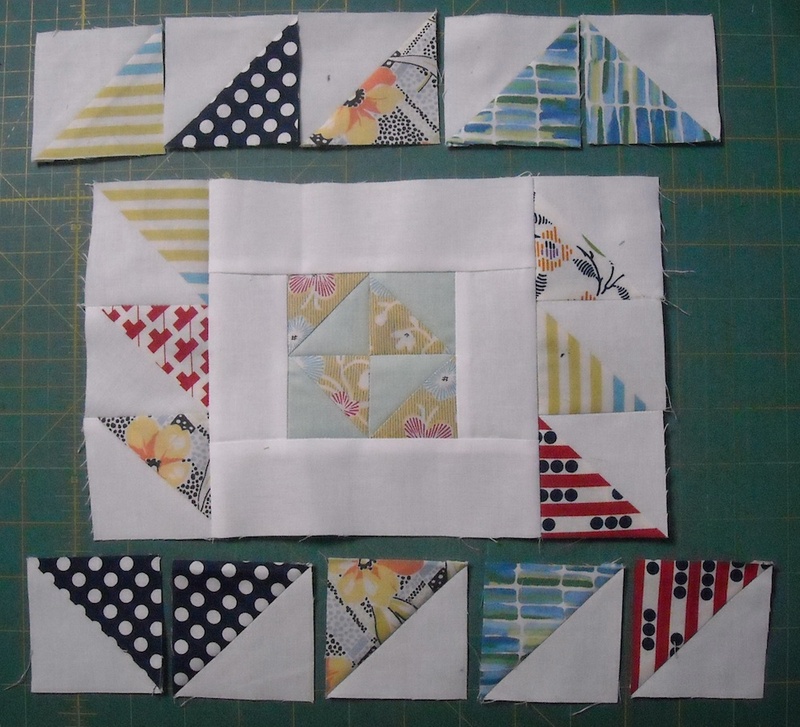 Sew these rows to the top and bottom of the block, and you’re all done! 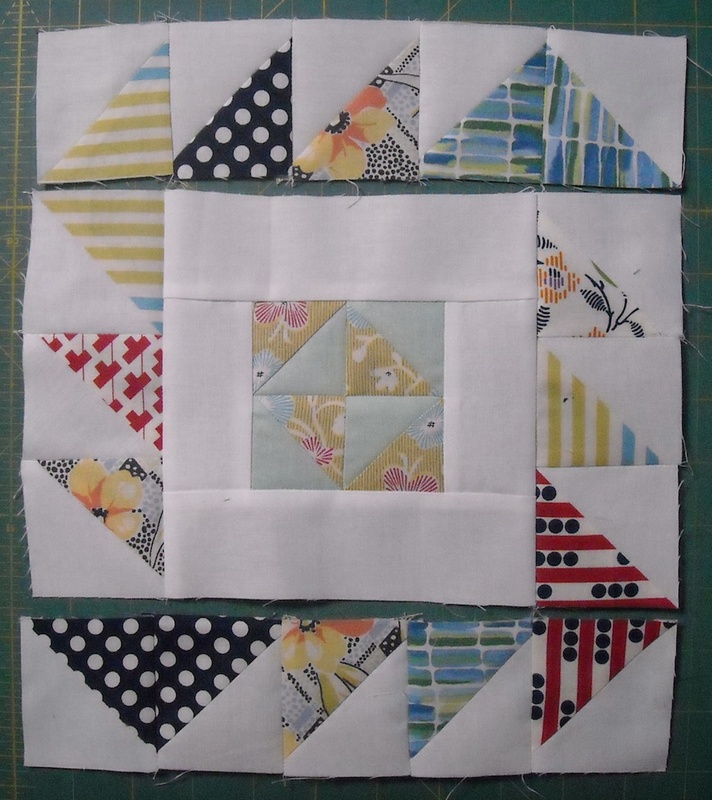 Label these Block 14, and check back on Friday for the final block!